Neurofeedback is intended to balance and harmonize brainwaves through feedback and self-regulation and is not intended to treat, cure, heal or diagnose any disease, mental illness or symptom. If currently under care with a primary care physician, therapist, or other medical professional, you are encouraged to consult with them prior to beginning Neurofeedback. ​How many sessions do I need? The average person needs between 12 and 20 sessions. You will need more sessions if the condition that you have has been part of your life for a long time, severe and or compounded with other issues such as physical head trauma, ongoing emotional and other stress. It really depends on each individual situation and lifestyle. ​How do you decide how much therapy I need? During the assessment, a brain map is created by recording your different brainwaves. From this can it be seen where the brain is over or under performing. A detailed report with the correct amount of sessions to correct over and under performances in your brain is created for you specifically. In essence your brain dictates how many sessions is needed. Neurofeedback is essentially skills building. Out brains are built for learning and skill acquisition and any skill is enhanced with practice and attention to lifestyle and diet. Just as you would take care of yourself when you start training at a gym or in a specific sport, so you need to take care of yourself and your brain before, during and after training. In most cases the results outstrip the client's initial expectation. ​What happens after the training is completed? For the three weeks after your last session just as during the treatment period, continue to avoid caffeine, refined sugars, alcohol and recreation drugs. The weeks following your sessions are important to strengthen the new neural pathways. It is important to make healthier choices and implement the changes you need to make.This include cutting down or preferably avoiding refined sugars, alcohol, and recreational drugs as these degrade neural pathways and you certainly don't want your new pathways to be eroded! The brain naturally seeks a balanced, stable condition, so after you have trained it is more difficult to get out of balance, and easier to return to balance. It is a good idea to take some time each day in a quiet environment to integrate the changes; you may find it helpful to keep a journal to track your progress. Neurofeedback is the brain equivalent of physical exercises, and the most common side effect of physical exercise is that you get tired. As with physical training, fatigue is the most commonly reported side effect after a session. The fatigue feels much like the mental tiring after learning a complex mental skill, or the exhaustion felt after speaking a non-fluent language. Because neurofeedback is essentially structured exercises for your brain, the term ‘side effect’ isn’t applicable in the same sense as for medications. Unlike medication, nothing is put into the body or brain. Those with more serious emotional conditions or trauma occasionally report an increase of old familiar feelings before the difficulty passes away and the issue fades out for good. It’s a bit like going to the gym and feeling that old injury acting up, revealing what’s beneath. People often report vivid dreams as the mind settles into a more balanced position. If you have had a physical brain injury or head trauma, you will likely be more sensitive to neurofeedback. You might experience nausea, dizziness, and light sensitivity as you ‘re-regulate’ your brain function. This is part of the process. The changes usually take place quite seamlessly. Based on your intake forms and your brain map, we generally have a good idea of what of these effects, if any, you might experience. We monitor your brain activity during neurofeedback sessions, so can tell if your brain is getting tired or overworked and adjust your training accordingly. Any person who at any given time feel that they are not functioning optimally needs neurofeedback. Just as some people needs more physical exercise, there are people that need more help to help them to train their brains to “run” more efficiently. When your brain functions better, you sleep better. If you sleep well, you are alert and can work or study more efficiently. It also alleviates anxiety, depression, migraine and chronic pain. Being well rested and having taught your brain to rest while you rest, enhances attention and focus and to manage your emotions. Does Neurofeedback change your personality? No, it does not change your personality. It does, however, change and manage behaviour. The training brings you closer to who you really are and because this training really allows your true self to emerge, others may notice the changes in you even before you do. Your “bad” traits e.g. rage, anxiety etc. does not define you as a person. It is merely a symptom of emotions that is out of control, which are trainable. Will I need to have Neurofeedback forever? Is there a completion to the training? In order to reach a specific objective, the training usually continues for a specific number of sessions. If there is a loss of optimal training effect after completion, due to stresses in your life, a few booster sessions may be recommended. However, just as concert pianists practice more than the rest of us, rather than less, Neurofeedback training can be used without limit to enhance performance. This “peak performance training” may be of interest to professional athletes, corporate executives, and performing artists. Why haven’t I heard about neurofeedback? 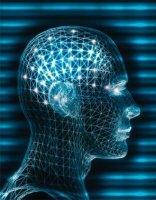 Backed by 50 years of clinical application Neurofeedback employs a sophisticated, evidence-based approach with quantifiable results. Even though the brain sciences have advanced very quickly, the medical establishments have yet to integrate approaches based on a shift in philosophy to simpler, safer and more common sense solutions to brain-based problems. Neuroplasticity (the brain’s ability to learn and change through life) is now the focus of scientific inquiry rather than ridicule. Sessions are quite pleasant. While you recline comfortably in a chair with sensors listen to your brainwaves, a video, some music, or a game tells you when your brain is meeting the training target and when it's not. You will be working one-on-one with a neurotherapist who will monitor and assist your progress, working with you to assure best results.